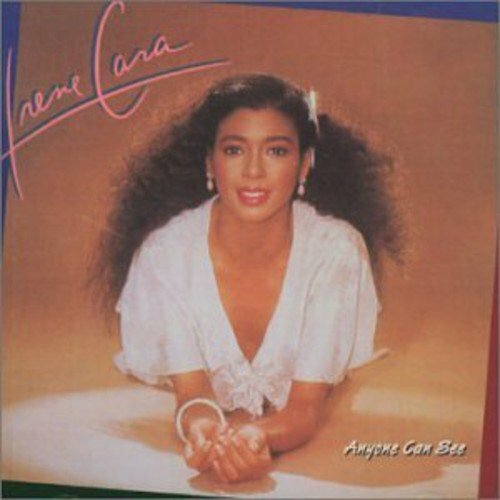 This is the most recent information about Irene Cara that has been submitted to amIright. If we have more information about Irene Cara, then we provide a link to the section where it appears (the actual page whenever possible). "Kraut Here On My Foam" "Out Here on My Own	" Tina T.
"The Dream (Hold On To Your Ream)" originally "The Dream (Hold On To Your Dream)"
"The Ream (Hold On To Your Dream)" originally "The Dream (Hold On To Your Dream)"
"You Were Mad For Me" originally "You Were Made For Me"
"Lashdance (What A Feeling)" originally "Flashdance (What A Feeling)"
Lashing out at someone while dancing? "Out Here On My Gown" originally "Out Here On My Own"
"Out Where On My Own" originally "Out Here On My Own"
"Out There On My Own" originally "Out Here On My Own"
"You Were Made For Meg" originally "You Were Made For Me"
"You Were Made For Mel" originally "You Were Made For Me"
"Out Here On My Owl" originally "Out Here On My Own"
"The Dread (Hold On To Your Dream)" originally "The Dream (Hold On To Your Dream)"
"What a Feeling" "Toast on the Ceiling" Robert D. Arndt Jr.
Could make their name should like they were sisters or something, even though Irene is Hispanic American and Alessia is Italian-Canadian. So they're probably not related. There are additional Irene Cara Combined Groups that haven't been done yet available. I used to hear "whirl" thanks to kite flying! I'm going to live forever! I'm going to learn how to fly! Sorry Irene, I don't think you can do either one. A human being cannot light up the sky, unless Irene controls the sun. Um, no, you can't. It's WAY too big. "Any One Can See" originally "Anyone Can See"
"See One Cay, Ann" originally "Anyone Can See"
"The Can Flashed, Flew Again" originally "Flashdance (What A Feeling)"
Spoonerism of a previously posted anagram! "The Fan Clashed, Flew Again" originally "Flashdance (What A Feeling)"
"A Bank Creed" originally "Breakdance"
"Bad Acre, Ken" originally "Breakdance"
"Flashdance (What A Leafing)" originally "Flashdance (What A Feeling)"
"Any Son Can Wee" originally "Anyone Can See"
Irene Raca originally "Irene Cara"
Careen Ira originally "Irene Cara"